What did the public sector ever do for us? People have good reason to demand decent public education and a well-funded health system, to yearn for an economy that doesn't trash the environment or for a smaller gap between rich and poor. Almost without exception, sound economics is on their side. We've grown used to public debates that pit people and the planet against an abstract, distorted image of 'the economy', but it doesn’t have to be this way. Governomics shows that an emaciated state is bad for business, and that standing up for government means standing up for a public sector that truly serves the public. Are taxes and regulation bad for the economy? How else are we going to get our mail, care for our elderly families, educate our children? Who will decide on the best action on climate change? 5.0 out of 5 starsCombat economics! 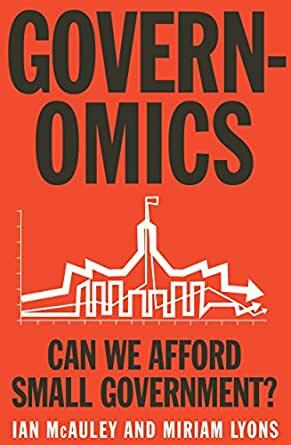 Moving beyond the careless "state versus market" platitudes that substitute for political debate, this book drills down into the meat of the issues of modern political economy, with especial regard to Australia. Packed full of case studies and analysis, these guys really show what a nuanced political debate might look like. If it is not "either-state-or-markets" that we are supposed to choose but "What kind of states supports the kind of markets we want to have?" and "What kind of markets support the kind of state we want?" then you get some very interesting new answers, and some interesting new questions. When does pro-business rhetoric lead to bad business? What *should* we be investing in for future prosperity? "Ideas make a big difference, but they don’t exist in a vacuum. The main obstacles to improving public services and building shared prosperity are political, not practical. We’d see better outcomes if politicians didn’t keep caving in to rent-seekers or propping up their polling numbers by pretending that future benefits can be achieved without present sacrifices. Whether you agree with its answers or not (I mostly do), I think the more important thing is that this book asks to the right questions. Not dogmatic — Am I following the correct [neoliberal/socialist/insert ideology here] party rhetoric? — but smart and pragmatic, and rooted in the options available to us and the arguments that we’ve already had. This kind of discussion is essential for moving beyond the classic two party time loop and into a constructive future. Disclosure: the authors are known to me, discussed this book with me before publication and gave me a review copy, but I have no financial interest in the book. 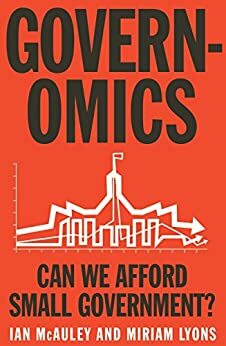 One of the strong points of this book is that you do not have to be an economist or political scientist to understand it. The authors discuss a variety of economic and political principles and concepts and utilize charts and graphs at times to explain their arguments, but they describe these concepts in a way that is understandable to a layperson.